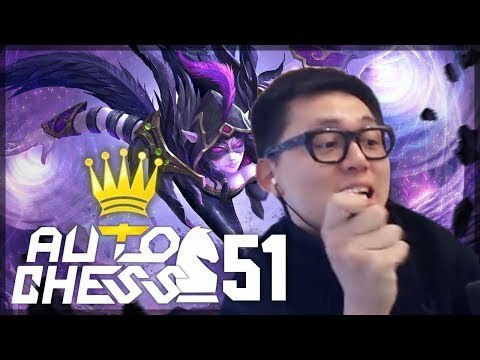 Dota 2 Auto chess released in January and is purely epic mod on top of Dota 2. The popular MOBA game just became a strategy puzzle with a lot of fun interaction. The game is not yet released on mobile phones but you can find the similarity in some games. Now you can play Dota without much effort and watching all the lanes get angry from your teammates etc.. now you can sit down and relax this strategy oriented game mod which is a lot of fun playing it and has a lot of features coming into this mod. You can play with all your favorite Dota heroes together and make the ultimate team crushing your enemy. The battleground is shaping like an 8×8 chess board. From the beginning of the rounds, you choose a hero and fight with creeps. Then every round you get gold to be able to purchase another hero which can fight for you. You can join 3 heroes into 1 who became level 2. There are 20 heroes available in the whole game so make your choice wisely and pick the best combo heroes to fight. If you finished the game as the first three top players, you will be rewarded with candy, which you can use to purchase cosmetics in the Dota 2 game mode. The more games -> the more XP you earned, you also will get ranked and fight stronger players. The game will automatically indicate how strong you are and rank up with equal opponents. Overall the game is really fun to play and absolutely FREE which is amazing compared to paid games or pay to win “Free” Games. There is, of course, available games ready to try on Android and iOS the same satisfaction you will get with Dota 2 Auto Chess. It’s insane that this game is one of the tops along with PUBG, Fortnite, and Apex Legends. There is an app ready for you to feel the same epicness in Auto chess Genre. Or just click on the link. The links are for Android and iOS.